Finding the best quality mirrorless camera on a budget can be a challenging task. We truly understand this fact, and for the same reason, we decided to save you from all the trouble and hard work by taking it upon ourselves. And so, after carrying out some extensive research work, we have come up with the list of best mirrorless cameras under $500 for you to choose from. For all the travel buffs who like to keep their baggage as light as possible, the ultra-compact Olympus OM-D E-M1 will be the ideal choice. This award winning camera offers some top quality features that you cannot find in any other model of the same price range. If you prefer a high-quality camera with exceptional performance, especially in the low light situation, then Sony Alpha a6000 would make an excellent choice. 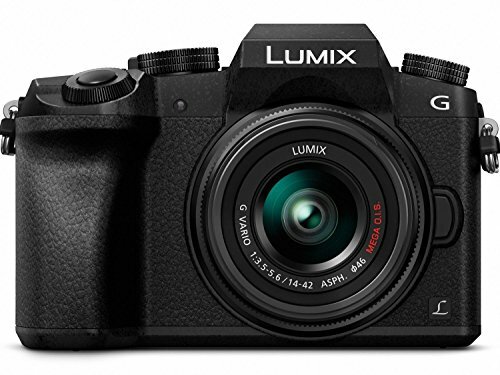 For those of you who want to explore the 4K shooting experience, the Panasonic Lumix G7 will fulfill this desire of yours without costing you an arm and a leg. Other than the 4K video capturing, the camera produces equally spectacular images that are comparable to DSLR photos. Whether you are an amateur or an enthusiast photographer, the Canon EOS M3 is ideal for you in any case. This amazing camera will surely make you happy by capturing highly detailed HD images. With capturing as much as 20 frames per second, you will fall in love with the Nikon 1 J5 for its exceptional speed. Olympus is quite renowned for being the best brand for mirrorless cameras in the market. 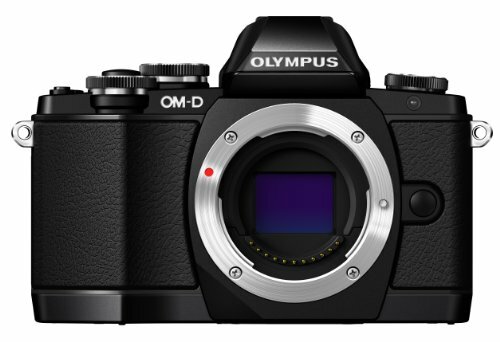 And when it comes to the best mirrorless camera under $500, Olympus still takes the lead. Where almost all of the Micro Four Thirds mirrorless cameras from Olympus cost around a thousand USD, this camera under the price tag of below $500 is a total bargain. The Olympus OM-D E-M10 is ideal for you if you love photographing while traveling. The camera is extremely lightweight and compact, so it doesn’t put any extra burden on your baggage. The camera features 16MP Live MOS sensor, which is also used in its relatively pricier models as well. And its powerful TruePic VII image processor ensures that you get high-resolution pictures with precise colors. A newer feature in this camera is the addition of 3-axis in-body image stabilization. Other than that, the camera features a built-in electronic view finder and built-in Wi-Fi for wider sharing options. The camera also includes a 14-42mm zoom lens which you can use for multiple scenarios. You can’t expect this list to be completed without having at least one Sony mirrorless camera in it. 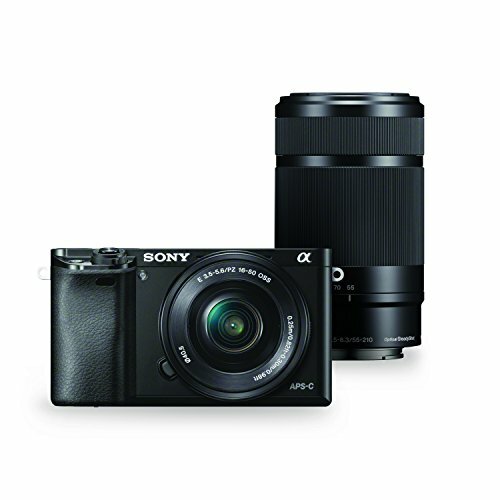 The Sony Alpha a6000 is descendent of the company’s NEX-series and offers some high-quality photography experience. The major standout points of the camera include its 24 MP APS-C image sensor and a quick capturing of up to 11 fps. You can record full HD videos of 1080p resolution and the camera’s built-in Wi-Fi, and NFC fulfills all of your connectivity requirements.The camera also gives an excellent low light performance. The camera features a 3-inch tilting LCD and a built-in OLED electronic viewfinder that provides you 100% coverage. The camera uses Hybrid AF autofocus technology, and with its 25 autofocus points, you can be assured of getting precision in every single click. On the downer side, this camera doesn’t offer 4K capturing, but it’s still pretty ahead in quality and performance than most of the other similar or even high priced models. For those of you, who want to have a handy mirrorless camera with an abundance of advanced features without surpassing your budget of $500 then we’d suggest you go for the new and amazing Panasonic Lumix DMC-G7 mirrorless camera. This revolutionary mirrorless camera from the Micro Four Thirds family gives you the outstanding DSLM image quality without all the weight and volume of a typical DSLR. This camera gives you the option of mounting 24 different compact lenses to it. Yes, you read it right, 24! You might find it to be slightly bigger than a few very small sized mirrorless cameras, but it has still managed pretty well to offer a reasonably small body that can also be classified as a compact one. The camera features an OLED electronic viewfinder that you can clearly see even if you are out in the sun. You also have the option of tilting it for achieving the most comfortable angle for the live view. The best thing that makes this camera stand out from so many others is the 4K video capturing along with its 3 4K photo modes that shoot at 30 frames per second. The camera also features very accurate and fast autofocus that will make your experience with it even better. It also includes a built-in Wi-Fi for quickly sharing the photos without going through the headache of wire transfers. Staying within the price range of $500, this camera also includes a 14-22 mm lens. However, if you want to have a slightly advanced lens model, you can pay a little above and choose the other one of your liking. 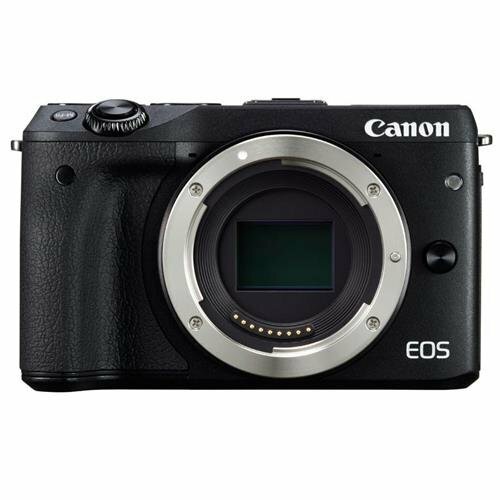 Another tremendous mirrorless camera in a compact body with multiple eye-grabbing features is the Canon EOS M3. We all know that Canon is a very reliable and trustworthy name when it comes to cameras, so you can never go wrong with this choice. You can capture full HD pictures and videos with this little beauty. The camera features a powerful 24.2 MP CMOS APS-C sensor with a wide ISO range of 100-12800 along with its DIGIC 6 image processor that result in giving you incredibly detailed photographs. The camera works brilliantly even in the low light situations. This camera comes with a tiltable touchscreen LCD display which you can use as an EVF for adjusting the exposure and tone for capturing precise photographs. You will not find a built-in EVF in this model, but it does offer a hot shoe for attaching an external EVF. The camera also features Hybrid CMOS AF III that results in a quick and precise focus. The only thing that we think could use some improvement is the battery life as you can shoot only 250 photographs on a single charge. So, you might want to keep extra batteries with you. You will find this camera quite easy to operate due to an excellent control over its manual functions that you can customize as per your ease and satisfaction. All in all, this camera is a great choice for all of you, and you won’t regret investing in it. 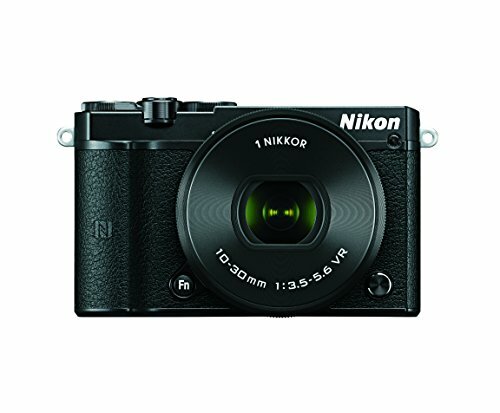 If you are looking for a bit basic camera without too many features but great performance and functionality then you should give a try to the Nikon 1 J5. Although, the camera features a small sized sensor, when it comes to the picture quality, it is comparable to any other camera on this list. The camera features a higher number of megapixels than its previous model at 20.8 MP. It also features an advanced and powerful EXPEED 5A processor and built-in Wi-Fi and NFC. One of its prominent features is its extraordinary speed. The camera can capture up to 20 fps while shooting continuously with AF-C. Isn’t that just great? Another good point about this camera is it’s ergonomic and yet aesthetic design that is both easy to carry and pleasing to the eyes. Besides the small sensor size, another major downside of this camera is the unavailability of the built-in viewfinder. Nevertheless, the camera is still pretty good and produces very sharp images like a lot of its DSLRs, so it is worth a try. Ever since the cell phone camera market took over the point and shoot cameras, the camera manufacturers got more serious about keeping the mirrorless cameras in the game, which is why, we can see that today, a lot of high-end mirrorless cameras are considered to be as good as professional-grade DSLRs. The good thing, however, is that you don’t necessarily have to buy a very expensive mirrorless camera for some striking features and good picture quality. The above-mention mirrorless cameras under $500 are quite a proof of that. The advancements in the mirrorless cameras lately have been reducing the major differences between them and the DSLRs, which is making the mirrorless cameras a preferred choice of a lot of people. 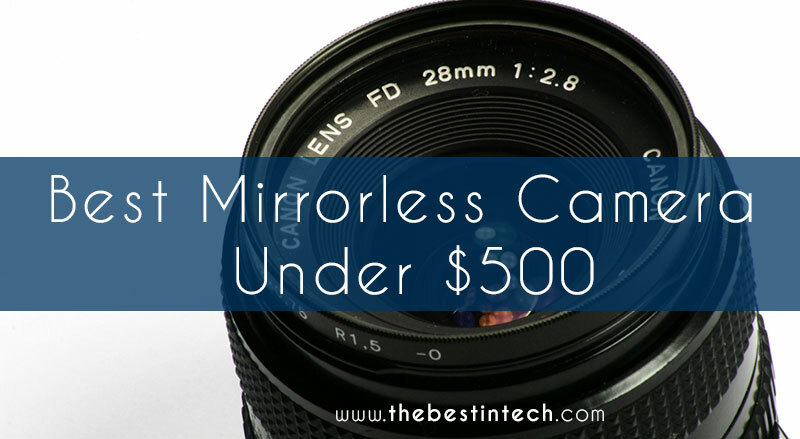 There are a lot of other reasons as well due to which we strongly believe that a mirrorless camera under $500 that is loaded with specs is a far better choice than buying a DSLR with limited features. Have a look. As you can see above, the majority of the mirrorless cameras come with either a built-in electronic viewfinder or give you the option to attach an external viewfinder with it. This option takes your photography experience to a whole new level by providing you a chance to explore a number of new horizons. The electronic viewfinder enables you to look at the pictures while they are being processed. This means whatever is happening, is happening right in front of your eyes. Isn’t that great? Now, this further leads to a few more advantages that you can avail of it. First, the image is right in front of your eyes while being captured, so, you don’t have to peek at that separately after every single shot to see if you got it right. Second, you also get the live view of the exposure, which means you can adjust it accordingly to get the maximum precision in your images. While clicking colorful images, the viewfinder enables you to look at the enriched version of the picture with all the settings applied such as contrast, saturation, and others. This, sometimes, makes the picture look even better than the reality. While clicking black and white images, you can see the colorless preview in the viewfinder. This helps in keeping your focus on all the necessary settings like light and mood and doesn’t let you get distracted due to the colors. You can save up a lot of your time while shooting with a mirrorless camera, especially if it has an electronic viewfinder, as we mentioned above. Needless to say, the electronic viewfinder enables you to make live adjustments to the exposure settings if you deem necessary. That way, you can take care of your images straight away and don’t have to spend hours working on them after the shoot for processing those pictures. One thing in which even DSLRs can’t compete with the mirrorless cameras is the autofocus because it is amazingly enhanced in mirrorless cameras. The absence of the mirror in these cameras ensures that the auto-focus doesn’t go awry while the pictures are being clicked. Also, the focus points are not restricted to a specific spot, like the middle of the frame, because these mirrorless cameras do not hinge on an independent phase detection autofocus chip for focusing. This makes sure that the autofocus points have a huge range and allows adequate room for flexibility. Mirrorless cameras are not just great for autofocus; the ones with electronic viewfinder make even the manual focus much more fun. You can explore a lot of new and interesting options while you are shooting with the manual focus. You can effortlessly enhance your manual focus adjustment with a mirrorless camera due to the available options such as split-image etc. Another noteworthy advantage of not having a mirror in these cameras is that you get to click pictures in complete silence, unlike the DSLRs that let everybody know that a picture has just been clicked. There are a lot of situations that call to maintain the quietness, but the loud capturing sound from a DSLR can totally ruin such moments. And well, forget about the candid photography in that case because it’s impossible to click pictures without drawing too much attention to yourself. On the other hand, with a mirrorless camera, you can quietly do your work without getting noticed and can produce some stellar images. This point might not be for everyone, but for those of you who love minimalism, you are going to love the modest design of a mirrorless camera that looks more like a simple point and shoot camera instead of looking like a fancy DSLR. The mirrorless cameras are usually smaller in size, and so they don’t weigh that much. DSLRs are great for photography, undoubtedly, but it is such a pain to carry their huge and heavy bodies around with all of their equipment. With mirrorless cameras, you can get pretty close picture quality to DSLR but in a much compact and handy design. If you are too much into traveling, you are really going to appreciate their handiness. Since there is an LCD display on a mirrorless camera, it serves you the same way as an electronic viewfinder does. This means that you have the liberty to use either of them for this purpose without any restriction. While the electronic viewfinder has its own charm, using LCD as the EVF significantly increases your involvement with the subject, resulting in a much better picture. While finding the best mirrorless camera under $500, you should not expect your options to be unlimited. As we discussed above, the mirrorless cameras have been gaining quite a popularity lately, so the manufacturers are onto making newer and advanced models with each passing day, which obviously, cost more as well. However, the good part is, the best mirrorless cameras under $500 that we have listed above, feature the functionality and performance that is no less than any advanced model, so, you can choose any of them. But, if you are still a bit puzzled about your selection then we’d suggest you go for our top pick Olympus OM-D E-M10.